Hugh Hou (CreatorUp!) 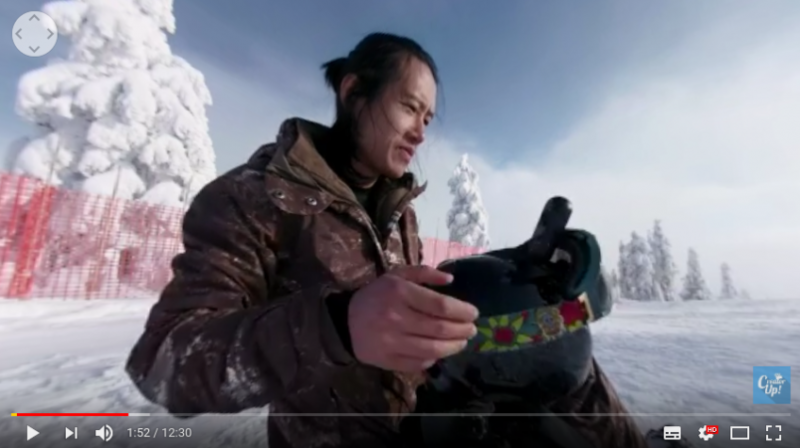 posted a snowboarding 360 video comparison between GoPro Fusion and Insta360 ONE. Check out the video! Insta360 ONE ($299, reviewed here) is an affordable 4K 360 camera that grabbed headlines back in August with its innovative bullet time feature. GoPro Fusion ($699, more info here) is the new 5.2K camera that’s being hailed as the best 360 camera for 360 videos, winning effusive praise from vloggers such as Ben Claremont and Kevin Kunze. I thought the video was pretty good, and the results were representative of my experience with both cameras. GoPro Fusion was clearly better for image quality and stabilization. The Fusion video was more detailed and had smoother stabilization. On the other hand, I think Insta360 ONE held its own for a camera that costs less than half of the Fusion. Another thing I wanted to point out is the dynamic range. The Fusion has excellent dynamic range, yet in this video, the Insta360 ONE dynamic range was just as good. Apart from image quality, one thing that is not evident from merely watching this video is the workflow. GoPro Fusion requires copying files from two memory cards, and because you have to manually level the horizon, you cannot batch process all the files. Videos in 5.2K must also be exported in either CineForm or Prores format (H.264 export is limited to 4K, and there’s no H.265 support.) Insta360 ONE on the other hand, is very straightforward to process, and its desktop software has a batch processing option. Finally, it’s good to see that both cameras were able to handle the cold without prematurely shutting down. What do you think of the video? Which other cameras would you have liked to see in this type of comparison! Let me know in the comments! If you’d like to buy the Fusion, it’s available direct from GoPro. Insta360 ONE is available from Amazon and Gearbest (see here for discount codes). It’s important to note that his GoPro Fusion footage was shot in flat mode and color graded in post production. He noted this in a YouTibe comment. Both cameras look good. But as you say, the Fusion has the better image quality. It had better for the price difference! But that Fusion workflow. Lots of complaints about it over on the Fusion Facebook group. I’m glad I made the choice for the Yi 360. Sometimes i think my Mi Spere is to much for professionals. But when he sit up the Hill the trees look like a ball. And i did look the video in zoom view. Than the brilliance of the Fusion is gone. All in all. Workflow and other things… I think if i buy a second maybe the Insta 360. Fusion for me personally is a no go. The workflow right now in the GoPro is a nightmare. It’s not just the removal of the cards, since the connection is so flaky, it’s the time it takes to process the video files, one by one. I’m at a coffee shop on Mobile right now and my laptop is Home still churning on 30 seconds of video after more than an hour. One file. On a brand new MacBook Pro. Which camera is with me now? The Xaomi. And even its workflow is not great, with no batch download to camera roll, but it’s infintely better than GoPro. Hi Jeff. I don’t know why but on Mac, GoPro takes a long time to stitch. On my $400 PC (i5-4590, 8gb ram, gtx 1050 ti 4gb), it is not so long. 23 sec video takes about 4 mins. to stitch (with stabilization, d-warp, 5.2K, cineform). And on PC at least, you can edit and render several files, although one problem is that you need to manually level each one. For xiaomi, fyi the PC app does have batch stitching, but it seems they are taking their time to make a mac version. The Insta360 One is a good piece of tech and the software has alot of nice features, but every version of their apps are buggy as hell for me. The ios, android and PC apps all crash under basic usage scenarios when I try to render with FlowState which makes the camera pretty much useless for videos longer than a few minutes.